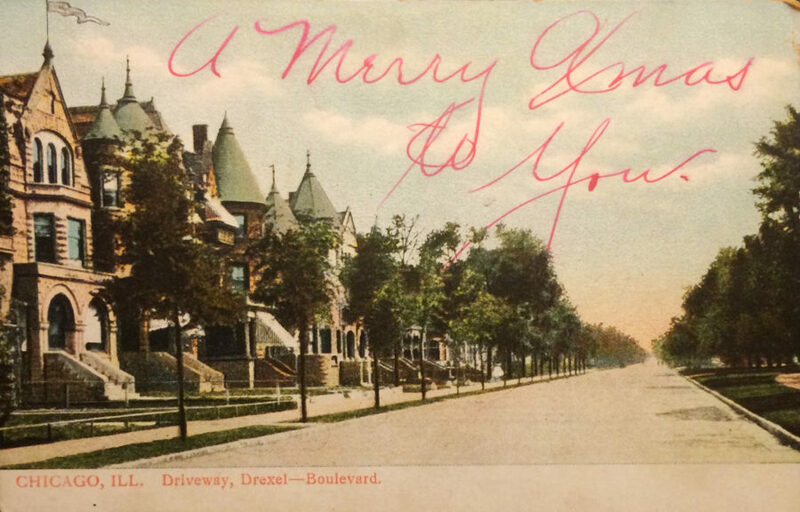 This week in our long overdue Flashback Friday series, we look at a holiday greeting postmarked Dec. 23, 1908 on a picture postcard of Chicago’s famed Drexel Boulevard on the South Side. 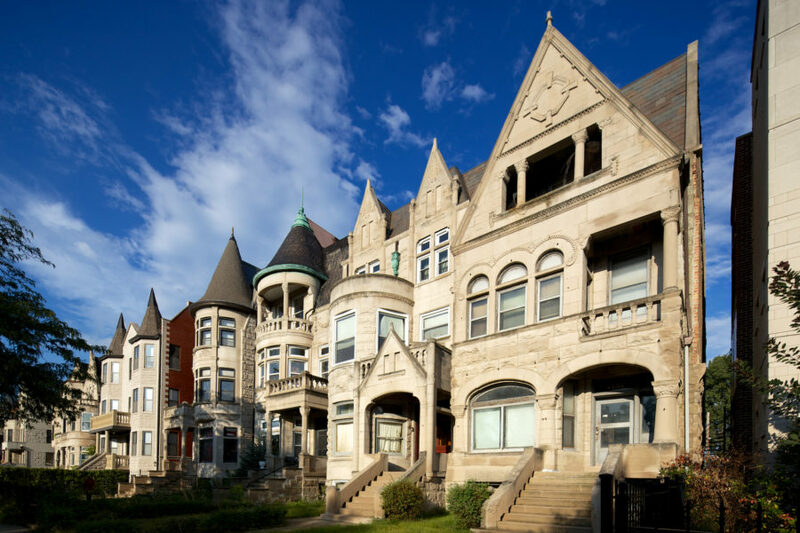 Although most, if not all, of the homes pictured above have since been demolished, the boulevard still boasts some of the city’s grandest homes. Have received your letter was glad to hear from you. I wish you a Merry Xmas and a Happy New Year. This change was prompted by the Universal Postal Congress, the legislative body of the Universal Postal Union. The convention decreed that postal cards produced by governments of member nations could have messages on the left half of the address side, effective October 1, 1907. 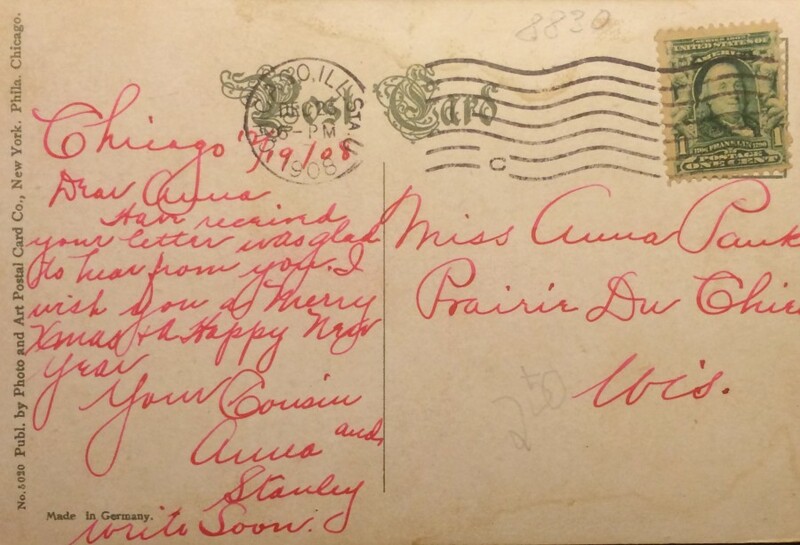 Even after this law change, it wasn’t uncommon to have short notes handwritten over the postcard’s front image, like this one, even after the 1907 law. Most of the homes that stand today on Drexel Boulevard are, like the one on this postcard, Romanesque Revival styled. 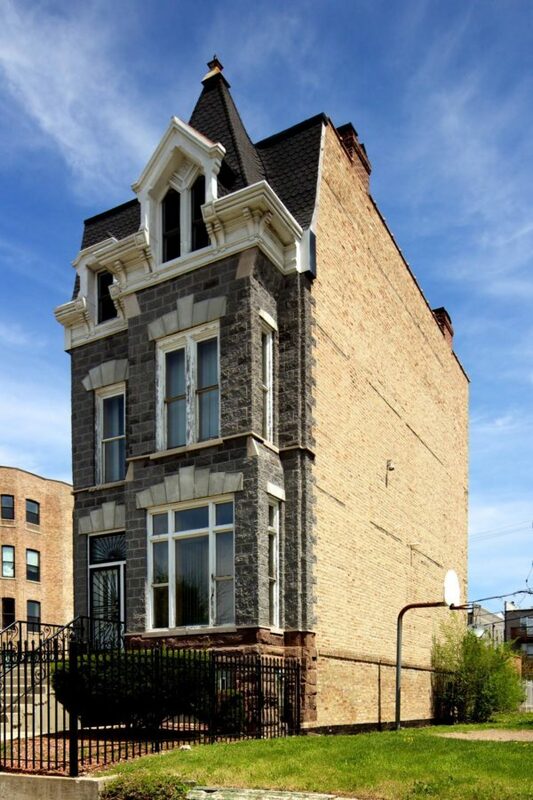 However, there are a few exceptions, such as the Second Empire styled rowhouse above. Above are some lovely homes near where Drexel Boulevard intersects with Oakwood Boulevard. 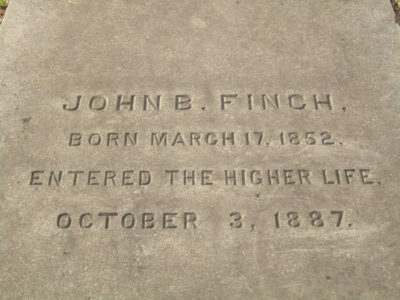 We’ll further explore the history of this important boulevard early next year. 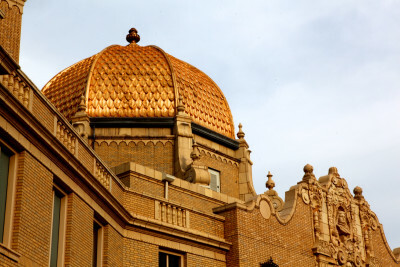 For now, thank you for reading and taking the time to appreciate these oft-overlooked details of neighborhood architecture and culture. blogger. 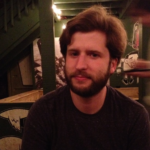 I’ve joined your rss feed and stay up for in search of more of your wonderful post. 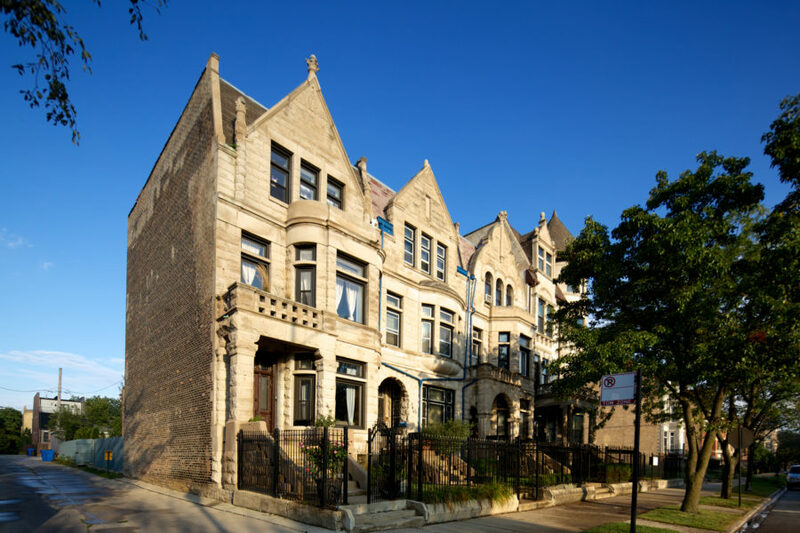 Neighbors Launch Preservation Push in Bronzeville: Save Our Stable!